For the past several years, Barnes & Noble holds a bi-annual 50% off sale on the Criterion Collection, each July and November. The sale begins today <10-30-2016> online and in stores, and will end on November 28th, 2016. Many of you will be heading out to your local stores to closely inspect the packaging, to avoid any dents in those gorgeous digipaks. Everyone else will be ordering online, thus avoiding contact with the insanity that is shopping during the Summer. In all the hype of the Presidental Elections and the tons of local propositions, almost forgot the twice a year Criterion sale. Some new titles came out, but there is one older DVD I have been holding out for. 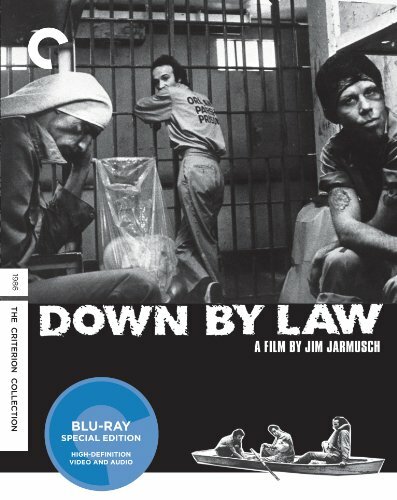 CRTGAMER on Nov 25, 2015 wrote: I almost bought Jim Jarmusch's Down By Law, but was disappointed the repress is only on BluRay which is ten years newer then the DVD release. This will have to wait with the same patience as the Ikiru rerelease. I am doubtful it will get a repress anytime soon since only the BluRay came out in 2012. Roberto Benigni is truly Italy's treasure, a great actor who has humor and drama in many of the characters he portrays. Might also pick up Mystery Train which I already own on Laser Disc, the director has made some great Indy Films before the format became mainstream. This DVD has the big Criterion "C" indicating a newer pressing. This go around I finally picked up Jim Jarmusch's Down By Law; been holding out for a repress of the Criterion DVD. The BluRay with the Criterion C logo with clear case indicating newer restored digital transfer (compared to the older transfer on the DVD) looks like the one to get. Both right now are at half same price at Barnes & Noble at $19.99. The Criterion significantly improves over its own 2002 SD-DVD with brilliant contrast and a notable amount of more information in the 1.78:1 frame (over the Kinowelt as well). Detail rises and the image frequently showcases depth. It's quite a step forward for fans of the film seeing this in such a stellar appearance - contrast rivals any black + white film to Blu-ray that I can think of. Criterion remains authentically mono via a linear PCM track - and the optional French DUB remains. It looks like extras are the same with the 1/4 hour Thoughts & reflections by Jim Jarmusch as he reminisces about the film. Plus we still get the 22-minute Müller interview, the 9-part 1986 Cannes Film Festival press conference, the 16 Outtakes and more. I think this is a dramatic upgrade especially for the video which looks pristine and fans should certainly consider double-dipping. Strongly recommended! The Kinowelt image is slightly sharper and has a little bit more contrast. The Criterion picture is slightly cropped on top, on the left and on the right. Both discs have very strong image quality, but Kinowelt is slightly better. I suppose that the English soundtracks are the same quality. Criterion includes also the French dub, but I'm not sure if it's an important addition. Criterion has a choice of English or French subtitles. Kinowelt offers German, Dutch or French subtitles. I don't understand why they haven't included English subtitles. The Kinowelt DVD includes very good special features (especially the outtakes and very interesting lengthy interview with cameraman Robby Müller), but it's only a part of the amount offered by Criterion. Here, Criterion obviously wins. Last edited by CRTGAMER on Fri Nov 11, 2016 10:56 pm, edited 21 times in total. Is it that time of year again? Oh dear. May the gods have mercy on my wallet. Another six months, another sale with the last day on Nov 30, 2017. Missed out last August, but did pick up one winner this go around worthy of a Criterion pressing. If you like 12 Angry Men, this movie fits right in. 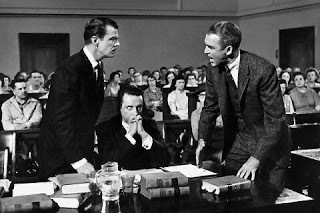 Another court room drama featuring James Stewart against a young George C Scott. Just knowing the face off, already anticipate this a great dialog movie. One thing I love about older classic movies is the emphasis to story and acting not drowned by special effects of today's movies. I had mentioned this on the previous page. Lately I have been leaning to BluRay only if a movie is in wide screen. Even though this movie is black and white from a bygone era, it is still in wide screen at 1:85:1 aspect ratio. I discovered before from my dual DVD BluRay Charlie Chaplin set that BluRay 4:3 imagery scrunches in the sides. This is where the DVDs have the advantage over Blurays, a full 4:3 screen on my 4:3 HD CRT and less pronounced side borders on wide screen TVs. An issue of the 1080p standard reducing 4:3 images to conform to the widescreen format. I did a quick look at some of the behind the scenes and confirmed the interview segment with the director Otto Preminger (yes the Colonel in Stalag 17) has the 4:3 sides squeezed in with black borders on my 4:3 screen! Ah well, most of the supplemental footage do completely fill the screen, especially the 1.85 widescreen movie since I have my player to display as Full. DVD Beaver is my go to site for comparing different versions of a movie. Criterion always comes out as the best with the cleanest print and huge amount of supplemental footage and booklet. Check out the link; DVD Beaver has chart data and shows multiple screenshots of each version. A great compare of the matted older discs and the 1:85 Criterion matching to original print. Extremely impressive looking transfer from Criterion. Exceptional greyscale and black levels - bringing up detail another solid notch. We get more information in the side edges on the 1.85:1 aspect ratio (but, obviously, less on top and bottom from the 4:3 Open matte - TV version). The visuals show some consistent grain and overall there is a wonderful contrast balance on the pristine looking image. It supports a magnificent video presentation. Criterion offer two audio options a linear PCM in original mono at a modest 1152 kbps. Also there is a more dynamic DTS-HD Master 5.1 surround track at a resounding 3560 kbps. There is some separation and depth is very apparent. The Duke Ellington score can be played alone - on a Sunday morning. Magnificent. Great to have the mono track for purists. This sounds fabulous. Criterion have stacked the supplements - starting with a new (recorded 2011) 1/2-hour interview with Otto Preminger biographer Foster Hirsch. Lots of good info. There is a 10-minute excerpt from a 1967 television episode of Firing Line, featuring Preminger in discussing censorship and the production code with host William F. Buckley Jr. In a 2011, 20-minute, interview critic Gary Giddins explores Duke Ellington’s musical contributions to Anatomy of a Murder. Also recorded in 2011 is a video piece looking at the relationship between graphic designer Saul Bass and Preminger. It has Bass biographer Pat Kirkham. There are 5-minuites of vintage newsreel footage from the set hyping the film. and a valuable 1/2-hour excerpt from the work in progress Anatomy of “Anatomy”. In 1997, Marquette County, Michigan resident Joan G. Hansen published her first account of the impact of Otto Preminger's film had in 1959 on the Upper Peninsula community were it was shot. For the past 10 years, filmmaker David C. Jones, Claire Wiley and John O'Grady have been working with Hansen on a documentary based on her experience. We get some cool 'Behind-the-scenes' photographs by Life magazine’s Gjon Mili, a lengthy trailer, featuring on-set footage and another liner notes booklet featuring an essay by critic Nick Pinkerton and a 1959 Life magazine article on real-life lawyer Joseph N. Welch, who plays Judge Weaver in the film. A very easy recommendation - a Preminger masterpiece with an all-star cast - one of the best courtroom dramas ever made - now looking more film-like and impressive than ever before. The supplements offer important value and we have nothing to say but 'our strongest Blu-ray recommendation'. Bravo Criterion! No need to debate, get this grand Criterion released movie! Okay this release is not a Criterion, though the movie should get the full Criterion magic treatment. Very worth adding to the collection of great classics, I'm placing this next to my Criterion/Columbia 40th Anniversary Dr Strangelove set. Both movies followed a similar plot with a different level of seriousness in Fail Safe rendition. The scene with Henry Fonda and Larry Hagman as Russian translator suberb! 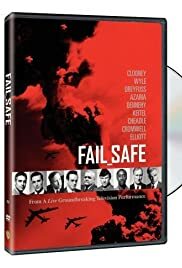 Based on the novel "Fail-Safe" by Eugene Burdick and Harvey Wheeler, Sidney Lumet directed this shocking masterpiece of cold-war realism. Due to astronomically unfortunate computer error, a flight of Strategic Air Command (SAC) bombers originating in Alaska carry 2 nuclear warheads past what is known as the 'fail-safe' point. With Russian military jamming their communication they cannot be recalled. They are headed toward Moscow to drop their bombs and complete their mission. The options of stopping them are both limited and extremely time sensitive. Henry Fonda portrays the President of the United States in a role he wears like a tailor made suit. Attempts to abort the mission fail and the President is left with no more options... aside from the unthinkable. Communicating with the aptly crippled Secretary of Defense, various military personnel, visiting political scientist Groeteschele (Walter Matthau) and the Russian Premier (through his his translator 'Buck' played by Larry Hagman) a most impossible, totally unacceptable decision is absolutely believably concluded. Stunning is an understatement. This is without question in my mind, the best Cold-war film ever made. The performances are outstanding, the messages are both subtle and coldly obvious with a conclusion as eviscerating as any I can remember. I have watched it 10 times and will continue to do so at least once a year. A great film to introduce to friends as so few people have seen it before. 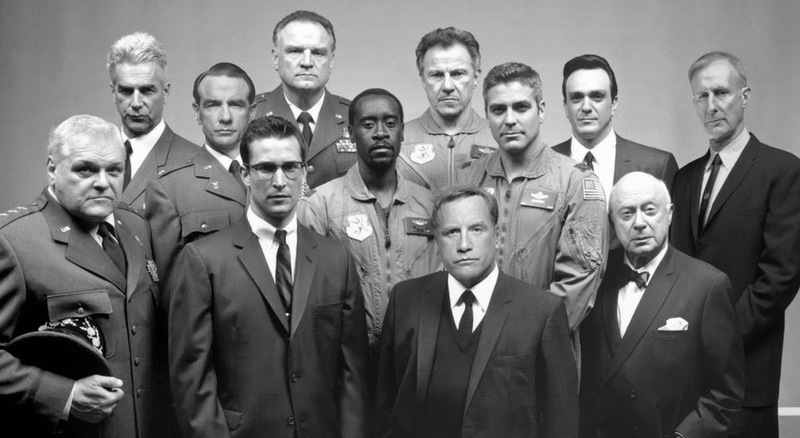 'Hidden Gem" in the fact that Columbia chose to release Dr. Strangelove first in 1964, and being a darkly satiric view of similar issues, its appearance severely diminished any impact that Fail-Safe would have opening later that same year. I also placed an order for the George Clooney live telecast DVD, also very well done. Shown in black and white and performed live back in 2000 as in live TV shows of the 50s, a bold move! I have seen both last year, worth another back to back marathon view. Both single disc Fail Safes will be placed together in a clear case with covers back to back inside the clear case sleeve. This saves on shelf space and keeps the different releases together. Have to get The Bedford Incident as well!